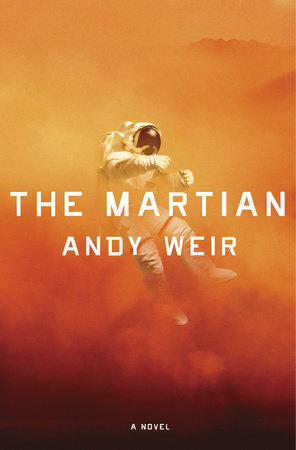 On a basic level, reviewing Campbell Award nominee* Andy Weir's The Martian is a fairly pointless exercise. There surely can't be that many potential readers out there who haven't already picked it up - it's that rare beast of a science-fiction novel that jumps the fences and conquers the mainstream while still being undeniably genre enough to satisfy the purists. If there are any purists left, in these latter days. But on the off chance someone is looking at this blog and is still wondering whether they should read The Martian, the answer is yes. To use my latest qualified praise - it's a very efficient novel: readable, with a gripping first-person narrative voice. I powered through it over a weekend earlier this year to a lot of enjoyment and only a few reservations. I do think that efficiency's an apposite choice of term - very scientific - in the context of reviewing The Martian. In a reductionist sense the book is about a man tackling a series of biology/engineering/physics problems where the penalty for failure is usually death. To be fair, that is pretty much space in a nutshell - it's the final and worst frontier. But crucially, Weir presents these existential challenges as fundamentally solveable by science and a wisecracking narrator. And moving beyond reading the book into reading the readers, this probably helps to account for its popularity. I do still wonder why the protagonist Mark Watney's interior life and backstory are so underdeveloped - after all, we're used to stories where someone lost in space is also marooned in their own inner space. And by making the novel mostly a first person chamber piece - bar the sections set on Earth where NASA try to rescue their stranded astronaut, which are the least convincingly written - Weir is able to dodge the societal as well as the psychological and hone down his focus on the scientific. And that's where my lasting reservations with The Martian lie: it's a good first novel that may have achieved its success and effectiveness (that word again) by sacrificing non-scientific complexity, depth and ambiguity. But incorporating more of each could have helped elevate it to something very good indeed. Weir is still the one to beat for the Campbell in my book, but let's see how the others shape up. *In the context of the Hugo Awards(including the Campbell Award for best writer) Andy Weir is another unwitting inclusion on the Rabid Puppy slate as far as can be discerned from public statements.